Gino Soccio was born in September 1955, Westmount, Quebec. He is a Canadian disco record producer. His heritage is Italian. He had several dance chart entries in the late seventies till the first half of the eighties from which Dancer, try it out, it&apos;s alright and turn it around from 1984 are the most wellknown. A couple of weeks ago i was listening to the song Try it out (1981) and quickly i decided to make a little hitmix with the songs i like most. Ofcourse there were many other songs like visitors which i could have used, but for me personally his best work started with Dancer and ended with Turn it around. 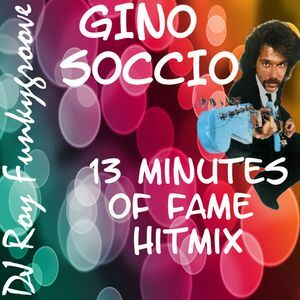 Enjoy this Gino Soccio special. If it&apos;s to your likings please let me know by hitting the fav heart button and or fill in a comment! Thank you all sofar for all the favourite hearts and comments.